Michael I never dreamt my wedding photos would be this amazing. You seem to know instinctively how to capture a moment, how to make a breathtakingly beautiful image. You are not afraid to do things differently - with integrity, and with an aesthetic that is independent, carefully thought out and above all, full of joy and wonder. Just the sort of photography I wanted. The photographs you took of our wedding day are pieces of art - and I am so grateful to you for creating not 'a memory', but a whole new, beautiful thing that I love nearly as much as I love my new husband. I don't think we could find words to describe how beautifully you captured every detail of the day! We absolutely love the selection and appreciate such a variety of shots to choose from. You were a joy to work with from day one and totally got what we wanted to achieve. It was a pleasure having you around on the day, as a friendly, professional and supportive figure, who managed to get the best out of everyone and be everywhere without being noticed. Your knowledge of your craft is clear to see, and your use of light, colour and composition has made each element of our 'big day' look so special! My parents were keen for me to pass on how much they enjoyed spending time with you on the day and how impressed they were by how you worked. We will treasure these photos forever, as the most touching visual reminders of such a happy day. 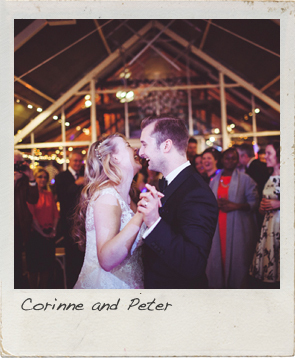 "We just want to say a huge THANK YOU for capturing our wedding so well. We absolutely love the pictures. 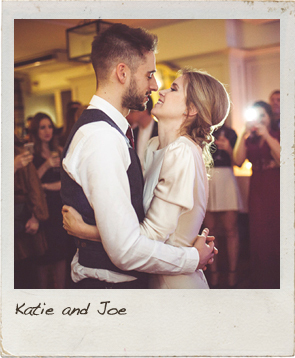 Our family are thrilled you photographed our special day, and now we have great memories." 'I just wanted to write to say that we are really pleased with the photos, so thank you again for all your hard work. You certainly went above and beyond." "We are over the moon with the images- you really are brilliant. We shall recommend you to anyone we know"
"We really can't thank you enough for Saturday. We had so many compliments about how lovely you were, so it was great our guests liked you as much as we did!" We got your pictures from the wedding last night and I just wanted to say a massive thank you from us both - they are brilliant! We wanted to submit the below review for your website as you really did an amazing job on the day and we loved having you as part of it. You put us at ease as we are not always comfortable taking pictures and we trusted him to go ahead and take any shots he thought would capture the day the way we wanted it and he did just that and more. A massive thank you for all your hard work! You were brilliant! "Your energy and humour are unbounded which means you get the best out of your subjects and this made for wonderfully informal, relaxed yet great results. A pleasure to have you at our wedding." 'We just want to say a huge thank you for the photos and for getting them to us so quickly. They are amazing.You captured the day perfectly and we couldn't be happier with them. "What a wonderful job you did. Thank you so much"
"I just wanted to let you know that we received the photos yesterday. Thank you for sending these so quickly. I just wanted to say that Pete and I absolutely LOVE them!! We spent hours looking at them last night and were so happy going through them. We were grinning from ear to ear!! They truly are amazing and they are actually even better than we thought they would be.They are absolutely perfect!! Thank you so much again. We just love them! It was lovely meeting you and you really were an amazing photographer and welcome addition to our day." 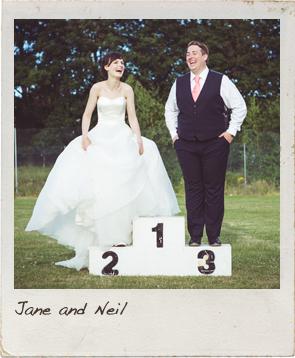 "We've just looked through the photos (twice) and THEY ARE AMAZING. Thank you so much, we love them!! So exciting to see them and relive our big day all over again. Thanks again so much, the pictures are beautiful and you are brilliant.